The nation's capital that serves as the setting for the stories in Edward P. Jones's prizewinning collection, Lost in the City, lies far from the city of historic monuments and national politicians. 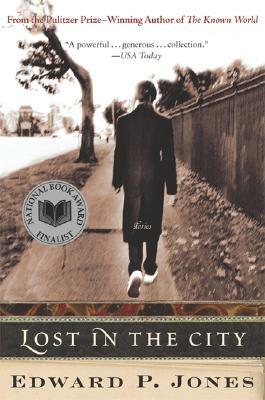 Jones takes the reader beyond that world into the lives of African American men and women who work against the constant threat of loss to maintain a sense of hope. From "The Girl Who Raised Pigeons" to the well-to-do career woman awakened in the night by a phone call that will take her on a journey back to the past, the characters in these stories forge bonds of community as they struggle against the limits of their city to stave off the loss of family, friends, memories, and, ultimately, themselves. Critically acclaimed upon publication, Lost in the City introduced Jones as an undeniable talent, a writer whose unaffected style is not only evocative and forceful but also filled with insight and poignancy.